Most of the time, webmaster Eddie and I feel they don’t bring much to the table but every so often one comes along that is entertaining, informative and incredibly worthwhile, as is the case below. The good people at Casino.org recently submitted this infographic for you, my readers. In honor of the lucky saps who took home $500 million in Wednesday’s PowerBall, I found it only appropriate that I join them in celebrating the biggest underdogs in sports history. In the past, we’ve talked a lot about money line bets, which is generally the way I like to wager since you don’t pay the juice. A money line is when you bet either the underdog (or favorite) and don’t take (or give) the points in a given contest. When taking the underdog to win outright, you substantially increase your payback on the wager. For example, Georgia is a seven point underdog in Saturday’s SEC Championship Game. They are also +285 on the money line. There are obviously several ways to bet this game but if you like the Bulldogs to win outright, it makes sense to bet them money line as a ten dollar bet would come back $28.50 (10 times the plus 285 multiplier). Of course, Georgia has to win the game. Listed below are some of the greatest money line bets (upsets) in sports history and what you would have made back had you placed a simple ten dollar wager on the outcome. Oh, to be in on some of these. This entry was posted in Diamond, Featured, Hardwood, Life of Sports Chump, Pigskin, Punches and tagged Alabama Crimson Tide, Buster Douglas, Dallas Mavericks, gambling, George St Pierre, Georgia Bulldogs, Golden State Warriors, Matt Sera, Mike Tyson, New York Giants, New York Mets, Rulon Gardner, SEC, UFC, USA Hockey by Chris Humpherys. Bookmark the permalink. Gotta add Northwestern’s 1995 Big 10 Conference champs to that one. Especially going 8-0. Couldn’t find the preseason odds, but I recall it would have been a huge payout. 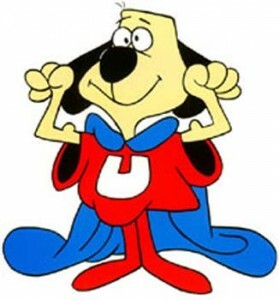 Underdog ? Who ? Notre Dame ? BCS Championship game should give the SEC another title without a doubt . The Irish merely have a defense and not much else beyond that . Head to head , with Notre Dame against ‘bama , and against Georgia . Tell me how you see the game going against either of the SEC teams ? So sad , too bad ! Saints lose . All the better for the Bucs , one would hope ! Their upcoming game against the Broncos will be a tough one , but it is winnable . So your namesake in the NBA and Rajon Rondo got into it ? Who said what about Kim K not knowing how to perform between the sheets ? NBA players fighting on court , so bad , that the likes of Clay Aiken and Carson Kressley want really show them how it’s done . LOL,LOL,LOL !!! I’m guessing that one wasn’t included because nobody could recall a time that Northwestern football was actually relevant. I actually think Notre Dame would hold their own against both Alabama and Georgia. Did you know UGA hasn’t won a national championship since 1980? I do believe you remember who their running back was back then. Nice win for the Falcons last night. They needed that confidence boost against their division rival Saints. I do believe they’re for real this year. Maybe not Super Bowl real but at least a playoff win real. So Doc Rivers calls his team soft the night AFTER they get into a fight and have players suspended? You’d think Humphries would have learned how to fight living in that Kardashian household. 1980 my a#s was ducking bullets serving my country , fending off the IRA , in Ireland , while serving with the Royal Marines (British) . If I were to hazard a guess , Herschel Walker that <a href="http:// year was laying down a great deal of whoop ##s .
The Saints are looking like a team , lacking in complete confidence , and it showed in their play . Brees labored throughout that match-up . I just can’t see Notre Dame holding up against either ‘bama or Georgia ! The Irish’s quarterback, Everett Golson simply isn’t good enough to get the job done . Vick is said to be pi#sed because Eagles’ management have now abandoned him . and he feels that they’re unwilling to pay the roster bonus due . Sorta makes me want to get back into my weekly parlays…though the NFL has been two crazy to win consistently this season. You faced the IRA? My guess is that you would have felt a little safer with Herschel by your side. UGA could have used a little Herschel against ‘Bama on Saturday. The Saints season is over. Let’s just hope the Bucs, who should still be in the running for a playoff spot when they travel to New Orleans in two weeks, recognize that. I do see Notre Dame giving the Tide more of a battle than most think but I also think in the end that the Sabanettes will prevail. And Vick’s upset? Somebody cry me a river. I need a good bookie.